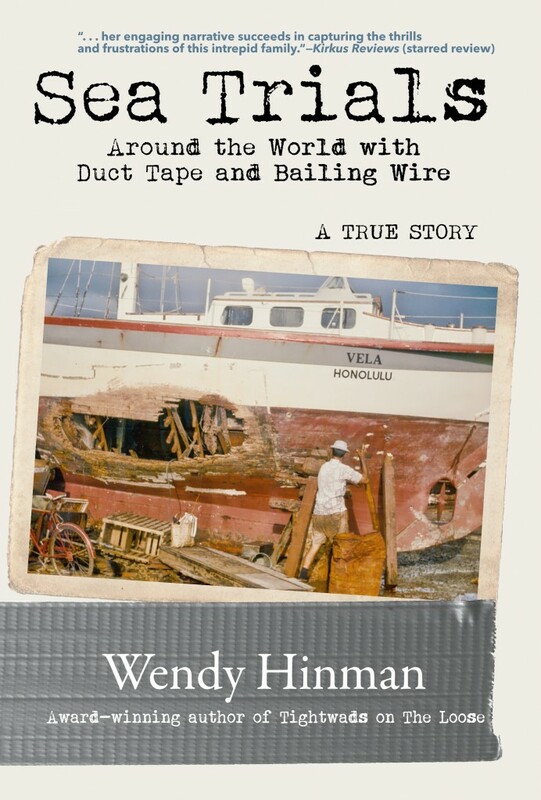 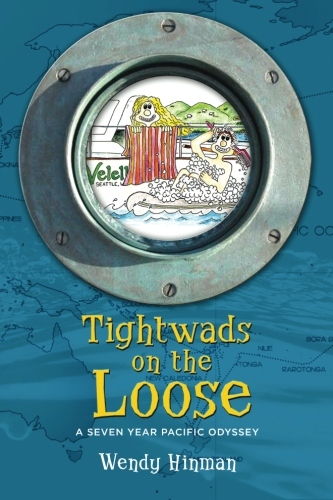 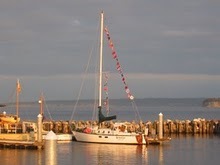 Wendy Hinman Wins Journey Award for best true life adventure story for Tightwads on the Loose. 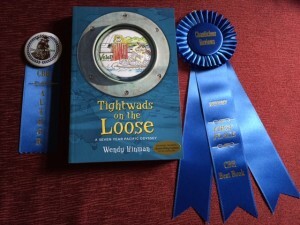 Wendy was excited to come home from a trip to Cape Cod, where she did a series of book events, to find a mysterious package. 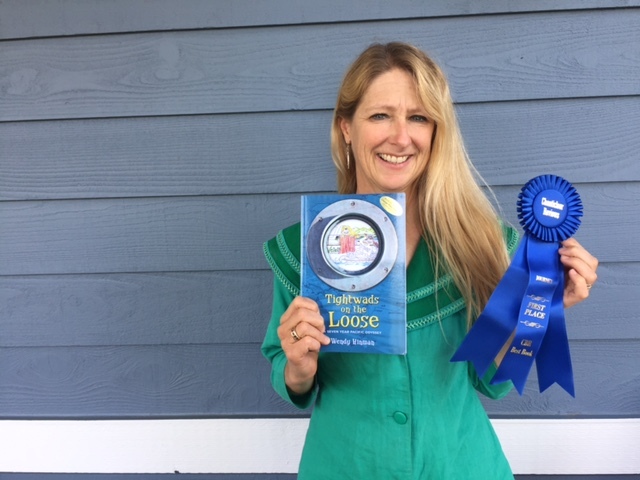 Inside she found the blue ribbon she won. 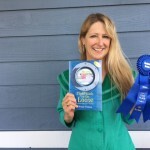 Here’s a picture of Wendy Hinman, smiling with her blue ribbon and award-winning book, Tightwads on the Loose.